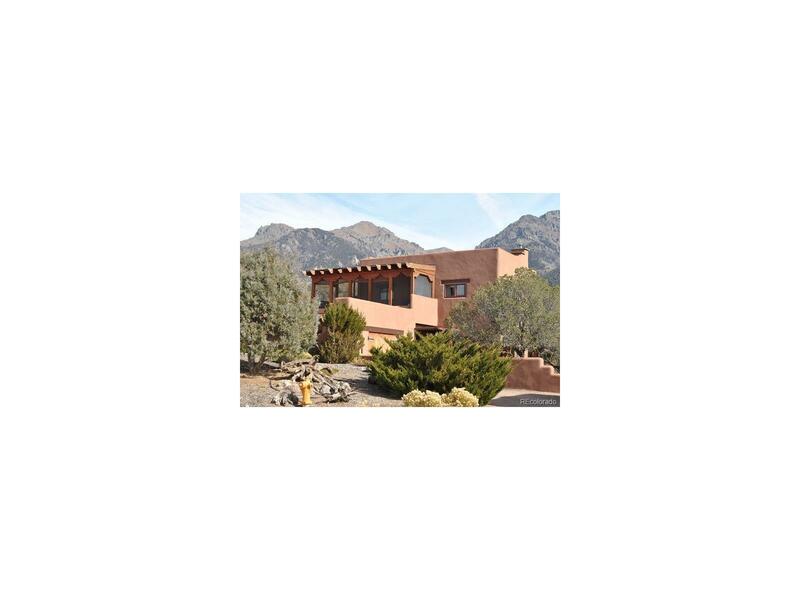 Fantastic site, with valley and mountain views, upstairs screened porch looking out onto the San Luis Valley. This contemporary home features 2 bedrooms/2 baths, with quiet sunroom on back of home looking out onto the back yard. Newer detached garage/workshop and home and garage are on 3 consolidated lots. Garage is set up to add plumbing for a bathroom, and a small studio if desired. Modern styled home has lots of natural light, and views of garden and mountains. Yard has been landscaped and there is a drip system. Stucco wall makes the outdoor area very private. Motivated sellers! The content relating to real estate for sale in this Web site comes in part from the Internet Data eXchange ("IDX") program of METROLIST, INC.DBA RECOLORADO® Real estate listings held by brokers other than Crestone Realty are marked with the IDX Logo. This information is being provided for the consumers' personal, non-commercial use and may not be used for any other purpose. All information subject to change and should be independently verified.